This year marks the 230th anniversary of the start of the French Revolution. Though not as momentous as the bi-centennial or the Quarter-millennia, this anniversary presents, nonetheless, a great incentive to revisit the tumultuous events of the French Revolution and reassess their impact on our modern political world. Over the course of a ten-year period, the revolutionary leaders experimented with new political visions such as constitutional monarchy, republicanism, representative politics and semi-democratic elections, while simultaneously participating in one of the most violent conflicts taking place in the country. 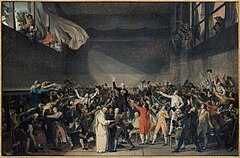 The political trial and errors of the French Revolution have served as critical reference points to countless political thinkers, utopian visionaries and politicians over the course of the nineteenth and twentieth centuries, but is it still relevant for today’s political landscape? Dr. Katlyn Carter, a post-doctoral fellow at the University of Michigan, who is working on a book manuscript on state secrecy and representative politics in the French and American Revolutions (which is under contract with Yale University Press) spoke with us about how the French Revolution pervades contemporary political life as well as on her book manuscript, the use of secrecy vs. the ideal of transparency and the craft of the historian. What made you become interested in the French Revolution? This question has a two part answer. When I was younger, I attended a French immersion school, so I became very interested in French culture and language way back then. When I went to college at UC Berkeley I took a French history course with Professor Carla Hesse and that is when I really got hooked on the Revolution. To me, it was not only a rich historical event to study, but because it has such an extensive historiography, it seemed it was an event whereby one could learn about the practice of history itself. In short, what I love about studying the French Revolution is that it’s a way to study the origin of modern politics, but also a way to study the evolution of the historical method. Could you tell us a little bit about your current project? My current project examines debates about the use of secrecy in government during the late eighteenth century to explain the emergence of modern representative democracy. My book is essentially about the way in which transparency came to be considered fundamental to representative democracy, but how this ideal was at odds with the prominent use of secrecy in newly created governments born of the French and American Revolutions. Instead of looking only at what revolutionaries wrote about how they understood representative government, I look at their daily decisions as they tried to translate ideas into practices. I focus on procedural decisions, such as whether to open doors to legislative deliberations, as crucial ways in which representative government was defined and legitimized. So, the argument you present is that our modern assumption about transparency as essential to representative democracies in fact developed from the debates and political practices introduced by the leaders of the Revolution? I wouldn’t suggest that our modern assumption about the importance of transparency to representative democracy grew entirely out of the French Revolution. However, I think the late eighteenth century (in France, Britain, and North America) is where we can see the origins of our modern understandings of transparency as a positive value in government. It is also where we see state secrecy assume a negative connotation, whereas before this period it was often taken for granted or had a more neutral connotation. Why did you choose to write about state secrecy? When I came to graduate school, I was very interested in representative politics and the press. After college and before my graduate studies, I worked in Washington, DC as a media relations consultant on issue-based campaigns. After working within the system, I realized I wanted to step back and study the dynamics between the press and political decision-making. I knew I wanted to go back to the founding of modern representative democracy in the eighteenth century to study the construction of new regimes in France and the United States. Once I dug into the literature, I realized there had been a lot of great work done already on the press during the French Revolution and on the emergence of public opinion during this period. So I decided to dig into the primary sources and see what people at the time were talking about. It quickly struck me that secrecy was a pervasive concern for people in the revolutionary era. I started to notice that their anxieties about secrecy (which were prominent in both French and British culture at the time) were closely linked to evolving understandings of political representation. Once I identified this trend, I knew that tracing debates about the use of secrecy in government would let me answer the big questions motivating my research: what did it mean to represent the people in government? And: How was representative government made legitimate as a tool of popular sovereignty? As a historian who writes both about the American and the French Revolutions, what do you think one gains by adopting a comparative analysis in historical research? It might sound counter-intuitive, but I think comparative analysis helps us draw distinctions and identify particularities in specific contexts. 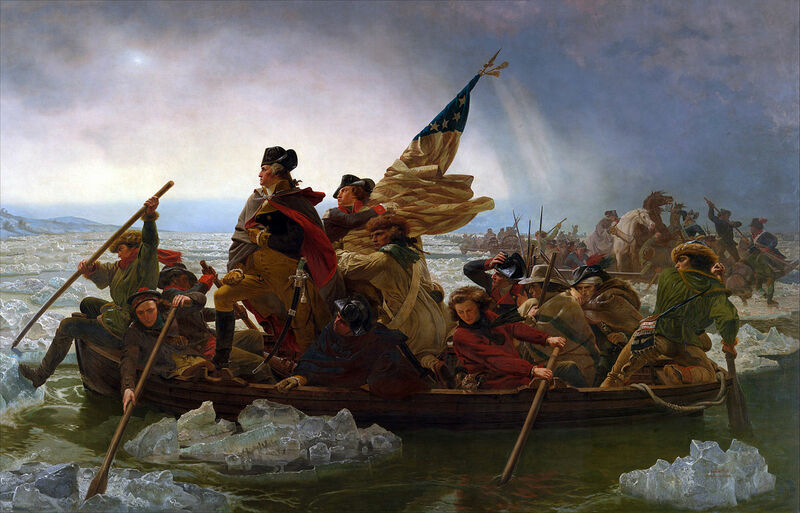 For example, my research treats the French and American Revolutions together in order to draw distinctions between the two that help us understand each one better. Doing so, firstly, highlights the importance of procedural decisions about secrecy and transparency to defining the nature and stability of representative government in each place. Secondly, this comparative analysis leads to the conclusion that representative democracy was not, and is not, a stable concept with a singular meaning across time and place. Could you give us an example of one sharp distinction between the American and the French revolutions in their use of secrecy? One particularly poignant example is the decision of the American delegates to the Constitutional Convention in 1787 deciding to meet behind closed doors under oath of secrecy in contrast to the French deputies to the Estates General in 1789 committing to meeting with open doors and a public audience. The visual contrast between these two deliberative assemblies is striking and I argue that these kinds of decisions were critical for how newly created governments worked and how they gained legitimacy (or not) in each place. For students who have just now been introduced to the French Revolution, where do you think one should start? What event, in your opinion, marks the eruption of the revolution? This is a tough question about which there are a multitude of scholarly opinions. I suppose I would say that I don’t think you can properly make sense of the Revolution without understanding the preceding century, at least dating to the reign of Louis XIV. The Revolution has its roots in the centralizing absolute monarchy, the religious tensions of the eighteenth century, the Enlightenment, imperial expansion, and the rise of commercial society. But if one is crunched for time and wants to get straight to the main event, I would start with Louis XVI’s convocation of the Estates General. The deluge of pamphlets about how this assembly should be structured and what it should take up on its agenda show both how the monarchy had lost a monopoly on speaking for the nation and also how people were beginning to think about society in new ways. Reading the Abbé Sieyès’ “What is the Third Estate?” is a great place to start. What event do you identify as a turning point in the Revolution? In terms of turning points in the French Revolution, it’s hard to narrow down to just one! It’s an event known for its complex and dense chronology. However, I would mention two particular turning points that I think are especially crucial for what I am interested in: the establishment of representative democracy. The first is King Louis XVI’s Flight to Varennes in June of 1791. After denouncing the Revolution, the king attempted to flee the country but was quickly apprehended and returned to Paris. At this point, the National Assembly decided to keep him on the throne and move forward with the constitutional monarchy they had been working toward. There was significant popular opposition to this decision and it led to serious questions about how the deputies could be considered representative if they seemed to be making such an unpopular decision. 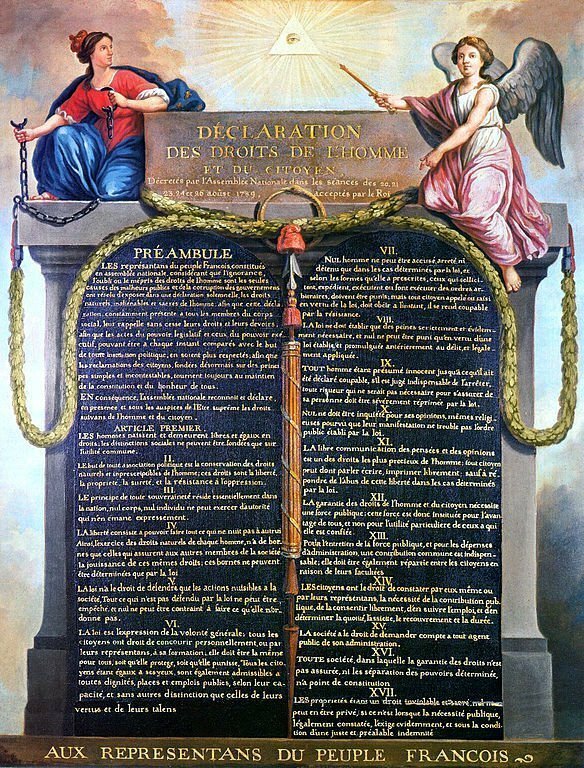 Not only was this the beginning of serious calls for the establishment of a republic in France, but it marked a significant loss of legitimacy for the National Assembly. The second major turning point I would identify would be the trial of the king. Of course this was significant for resulting in the guillotining of Louis XVI, but I also think it is a crucial turning point for how representative politics was defined and practiced. At this point, the Jacobin deputies in the National Convention argued against holding an “appeal to the people” on the question of the king’s guilt, making the case that the deputies should be the ones to make such an important decision rather than the people themselves. This was a significant statement about the way representative government should work and it marked a particularly poignant turning point for Jacobin deputies who tended to be associated (and still are in much of the historiography) with direct democracy. Yet, here they were making a case for representative politics as something distinct from direct democracy. What do you think was the most unexpected outcome of the Revolution for contemporaries? This is a great question and I have to say, I’m not sure. I think it might have been a new sense of time and of history. So much happened in such a short period of time and I think that must have been very disorienting. To conclude, do you think the French Revolution is still relevant for today’s politics? The French Revolution is absolutely still relevant for today’s politics. What I think is particularly relevant in today’s world is the way in which the Revolution marked a major turning point in history. I mean that both in the sense of how we think about it as historians, but also how contemporaries thought of it. We are again living through a period that feels like a turning point, in terms of our political structures and cultures, communication technologies, and our epistemological beliefs. I think it is especially important right now to study how disorienting it was to live through the French Revolution. Something I have thought a lot about since 2016 is how people after 1789 often noted a sense that time was speeding up, that the ground was shifting underneath them and it was hard to grab on to anything to make sense of the magnitude and intensity of change. Sometimes it feels like that to me in our modern world and I think studying the Revolution can provide both some solace and insight.